It seems Warpaint have taken the title of their latest single, "New Song," to heart. The track, taken from their forthcoming third album, Heads Up, strays from the minimalistic dream pop of their self-titled sophomore album. Instead, we get a more polished sounding Warpaint, with "New Song" expanding on the band's indie-pop rhetoric with flourishes of Grimes-like blissfulness. "I feel really proud of what we made—almost surprised and shocked. When we were making it, I was like, “I wonder what this is going to sound like? How’s this going to come together?” I love the way that it came together so nicely. I feel so proud of it, and like it’s an evolution of our band. 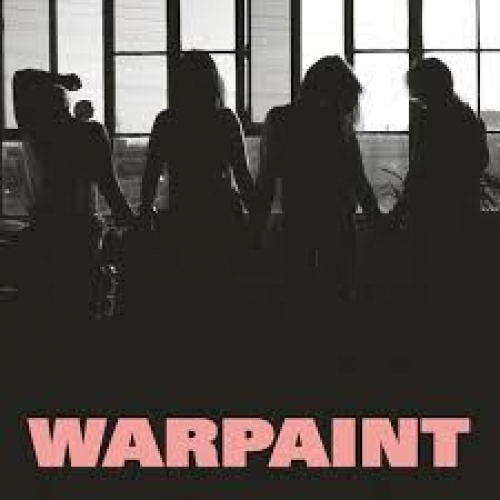 It sounds like a mature version of Warpaint." Heads Up is set for release September 23.